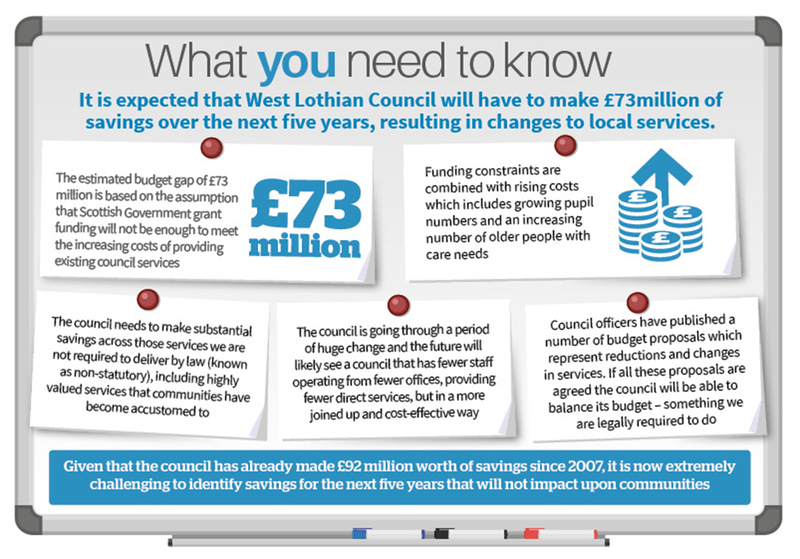 Click to view full size imageLike all local authorities West Lothian Council is preparing for the significant financial challenges which lie ahead. The council continues to see an increase in demand for services which is combined with reducing budgets. 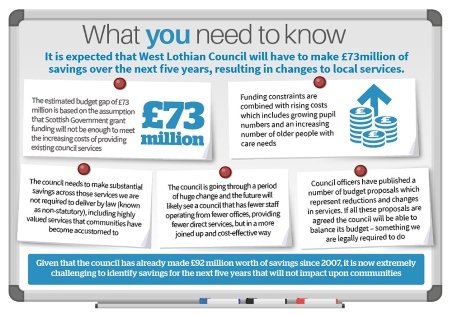 This is expected to result in a significant budget gap of £73 million over the next five years. Thanks to everyone who responded to our recent Transforming Your Council consultation, which closed on 12 November 2017. The successful consultation attracted 45,463 comments and suggestions with over 7,000 individual submissions, more than any consultation previously carried out by the council. Please note that the information has been redacted to remove personal information. Following analysis of the feedback received a series of special Policy Development and Scrutiny Panels (PDSPs) will take place in December which will provide a platform to elected members to discuss the findings of the consultation, and put questions to council officers relating to the consultation's findings. The feedback from the PDSPs will go towards shaping the council's budget which will be set in early 2018.